The fundamental processes which keep humans and all animals alive evolved more than 600 million years ago in single-celled organisms, scientists say. The research, published in the journal Science, highlights the ancient genetic lineage we all carry in every cell of our bodies. The way our cells function, grow and interact with others uses molecules and methods that first appeared long ago, when the most advanced forms of life were just microbes living in the sea. Studying an obscure microorganism with ancient roots led scientists to this far-reaching conclusion. It is one which sheds light on one of the most dramatic evolutionary leaps in life's history: the origin of animals. The evolution of animals from a single-celled ancestor is one of the major milestones in the development of life. The identity of this ancestor and how it did it are shrouded in mystery. Clues to what happened may be contained within the molecular machinery of the choanoflagellates - a group of about 150 species of transparent, single-celled microbes that move around by using a whip-like appendage. Scientists have long suspected that they might be modern examples of what the ancestors of multi-cellular animals, or metazoans, looked like when they lived more than 600 million years ago. 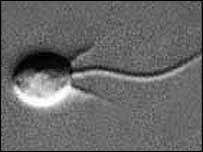 It was discovered in 2001 that they have a type of molecular sensor usually found in multi-cellular animals. Now it has been discovered that they have more fundamental molecular pathways also used by animals. "We have found that the cell biology toolkit was pretty sophisticated before the dawn of animals," says Sean Carroll of the University of Wisconsin-Madison's Howard Hughes Medical Institute. The molecular processes that Sean Carroll and colleagues Nicole King and Christopher Hittinger studied enable cells to communicate and interact with each other. Such pathways are involved in many basic cellular processes. They also play a role in cancer and sensory functions such as hearing. The exact function of these molecular pathways in the choanoflagellates is a mystery, however. Despite this, it does appear that molecular processes that were thought to have been developed by animals have their origins in an ancient soup of microscopic single-celled microbes. "This is consistent with the idea of evolution as a tinkerer, cobbling together tools that are already available, rather than inventing a new widget for each job," says Nicole King. With the choanoflagellates, scientists are confident that they have selected the right organism to understand what happened on the eve of animal evolution. The next stage in the work, say the researchers, is to identify the minimal set of genes in place at the outset of animal evolution by finding the genes shared by all animals and their nearest ancestors.